Soundgarden are sharing a preview of “A Thousand Days Before” from the band’s appearance on the public television series Live From The Artists Den, which will be broadcast this week. The February 17th performance mixed brand new songs with classics, radio hits, and rarities. The episode featuring the Seattle rockers will be broadcast this week of July 11 - check your local PBS station for the time and date in your area. The 6th season of Live From The Artists Den kicked off this month with Mumford & Sons; other confirmed acts include The Killers, Ed Sheeran, The National and Imagine Dragons. 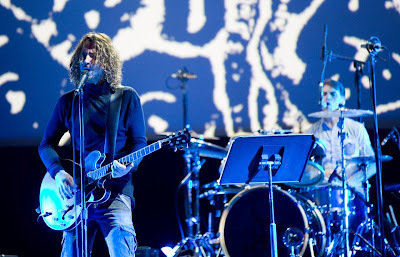 Soundgarden kick off a series of European dates on September 4 in Helsinki, Finland.